Friar Tucks Balloons Mansfield - Nottinghamshire. 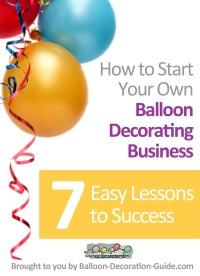 I am a small home based balloon decorator, and I pride myself in my work by doing that extra little bit to make your event special. I am available for Weddings, Christenings, Aniversaries, Birthday Parties and Proms. 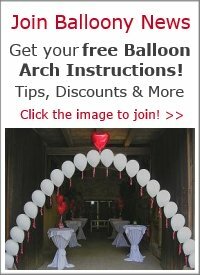 I also supply gifts in a balloon for that special occasion, whether it be a new birth, or graduation, A special I love you, or Thank you. 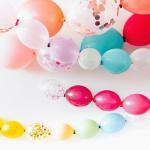 Balloon Bouquets, and balloons in a box. Why not give me a call for a competetive quotation. No job too small. 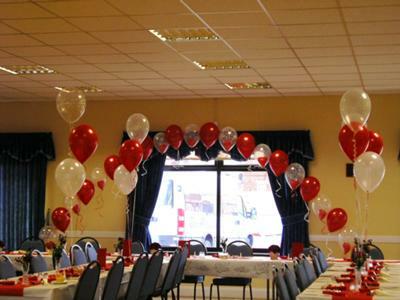 I recently used Friar tucks balloons for my wedding, and was very pleased with the way that the room was transformed just by adding balloons. 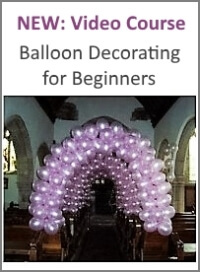 From the first consultation I was very pleased with what balloons would look good. I would have liked an exploding balloon, but Anne Marie informed that because of the low ceiling height it would not have the same effect as one with a huge ceiling height (She could have sold us one but did not want us to waste our money) instead we went for the option of the cannons, which were just as good. I would definitely recommend Friar Tucks to my friends, as we were not presurised and we were not sold anything which would not work in the room. Well Done Anne Marie, for making our day that bit special.